You know fruits and vegetables are good for you. They’re great for physical health. 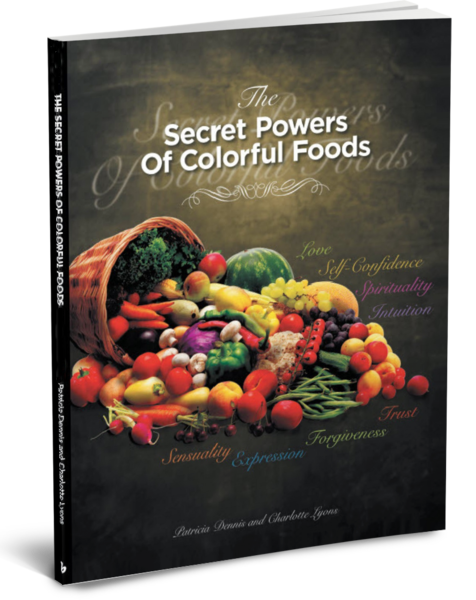 But did you know different colors of food can be good for emotional health too? Yes, foods do affect moods! 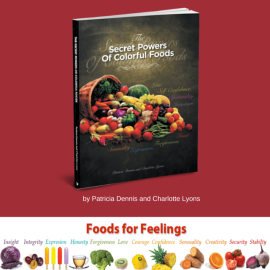 The new book, The Secret Powers of Colorful Foods: Enhancing trust, sensuality, self-confidence, love, forgiveness, intuition and spirituality (published by Balboa Press) by Patricia Dennis and Charlotte Lyons is a guide to enhancing emotions with fruits, vegetables and herbs. It is based upon the ancient East Indian Chakra System – the belief that the body has internal energy centers along the spine that emit a different color for each emotion. 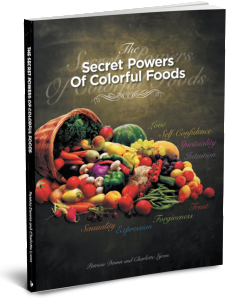 Matching food colors to the color of emotions can help energize them. Foods and moods… Want to feel more grounded and secure? Try red-energy foods like strawberries, beets or tomatoes. Want to feel more sensual or more creative? Try an orange boost. Could be with yams, oranges, honey or cinnamon. Need to forgive someone or yourself for something? A green smoothie or green veggies is the way to go.